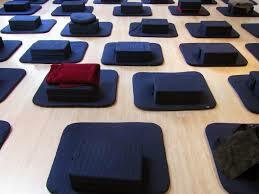 Our relationship to our physical body is an essential element of meditation practice. We may often forget the bodily experience because we are so interested in relief from what we perceive as the chattering of mental activity. However, the body moves as the mind moves, wherever mind goes, the body follows, wherever the body goes, the mind follows. Our attempts to separate body and mind add to the struggle of finding ease with meditation and our physical postures. Wisdom traditions of guided exercises, contemplations, movement, trauma-informed neuroscience and Shambhala Buddhist teachings will support our journey toward experiencing the body-mind as whole rather than separate. By exploring the natural intelligence of the body-mind relationship we can deepen embodied living. I look forward to being your guide as we tour the nature of being human. Plan on wearing clothing comfortable enough to move in while sitting, standing and laying on the floor. Marita McLaughlin, LCPC, is a meditation instructor and a licensed clinical psychotherapist integrating multiple wisdom traditions of Shambhala Buddhism, sensorimotor trauma psychology and embodied movement. Gently exploring the fullness of her human experience is a primary way she enjoys life.